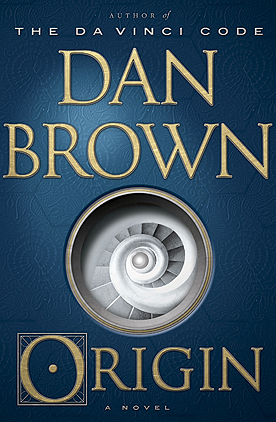 This week the book Origin by Dan Brown caught my eye. "You sat in that monastery's sacrosanct library and told a bishop that his entire belief system is delusional!" Langdon exclaimed. "Did you expect him to serve you tea and cake?" I'm on page 179 of 461 and I'm hooked. Dan Brown has a way of sucking me into his stories. His books are serious but there are bursts of quirky humor (at least to me) like the killer's get away car being an Uber and one of the characters reminding Langdon to remember the wise words of Princess Elsa and to just Let It Go.